Maryal Barnett is a retired FEI (Fédération Equestre Internationale) “C” Dressage Judge, and an active US Equestrian “S” Dressage Judge and Canadian Equestrian Federation Senior Dressage Judge. She is an Instructor and Examiner for the US Equestrian Dressage Judges Training Program, and she is on the United States Dressage Federation (USDF) “L” Faculty to teach future dressage judges. 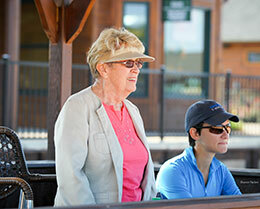 Maryal has given many Judges’ mini-forums throughout the United States. 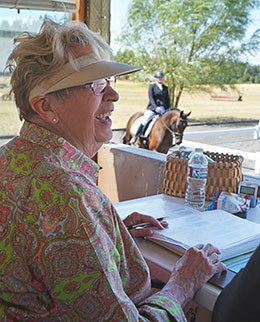 Attending US Equestrian Judges’ Forums and participating in USDF International Judges’ Forums and FEI Seminars for Dressage Judges has taken her to Europe and Canada as well as all over the United States. Please see Maryal’s Teaching Schedule and Educational Programs pages for those dates and locations. Her biographical information is on the About Maryal page.